This one-hour, 22-mile tour is a great way to get acquainted with Cody. Cody Trolley Tours utilizes two live narrators, poster-sized historical photos, pass-around relics and entertaining audio clips to share the story of world-famous William F. “Buffalo Bill” Cody while historical sites, scenic vistas, geology, wildlife and old- and new-West attractions are spotlighted. The tour takes place in the cozy oak interior of an air conditioned festive red and green trolley. Dan and his “Empty Saddles Band” perform at the historic Cody Theatre across from the Irma Hotel. The fast-paced, family-friendly “Dan Miller’s Cowboy Music Revue” includes traditional songs of the American West, cowboy poetry and comedy. Built by Buffalo Bill, the Irma Hotel is an authentic Cody landmark that captures the essence of Western hospitality. The name honors Buffalo Bill’s youngest daughter, Irma, and is listed on the National Register of Historic Places. Throughout the summer a group of street theater performers depict a gunfight in historical costumes. Characters with names like Wild Bill Hickok, Ike Clanton, Wyatt Earp, Emmett Dalton, Lottie, Rooster and others come to life in the street in front of Buffalo Bill’s Irma Hotel. Inside the hotel diners enjoy great Wyoming prime rib and steaks. Take note of the cherry wood bar in the dining room. Britain’s Queen Victoria shipped it to Buffalo Bill as a gift. The rodeo has earned Cody the designation as Rodeo Capital of the World. 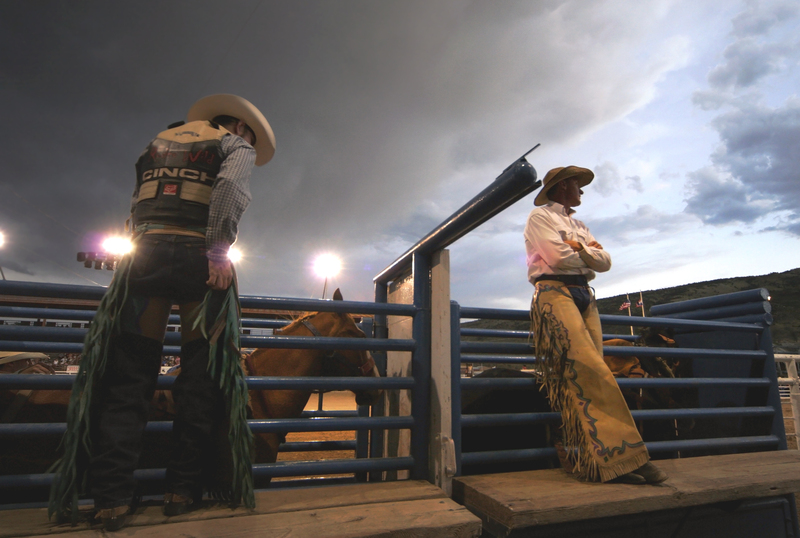 The Cody Nite Rodeo is the only seven-night-a-week outdoor rodeo in the country. The Cody Nite Rodeo has been entertaining visitors for decades, and it is often travelers’ first rodeo experience. The rodeo operates nightly from June 1 through August 31, and the audience will see riders, ropers, bull riders and bronc busters from all over the country. Water was as much a concern in the days of Buffalo Bill Cody as it is in the West today. Cody foresaw that and convinced the U.S. government to build a dam to help conserve that precious resource. The dam is located six miles west of Cody. The Buffalo Bill Dam was the tallest concrete dam in the world when completed in 1910 and is a National Civil Engineering Landmark. The visitor center offers educational exhibits about the building of the dam and bringing water to the Bighorn Basin. The Heart Mountain WWII Interpretive Center exhibits tell the moving stories of those incarcerated at Heart Mountain during World War II, including exhibits that showcase the denial of basic rights to people of Japanese ancestry by the U.S. government following the bombing of Pearl Harbor. Told from the perspective of the internees, exhibits highlight their pre-war lives on the West Coast, forced evacuation and travel to Heart Mountain, and where they settled into their barracks and lived as prisoners. Visitors to this National Historic Landmark can also take a self-guided walking tour of the site. Step back in time to the Old West of the 1890s. Located on the original town site of Cody City, Old Trail Town features 26 authentic, Old West structures furnished with artifacts and antiques of the day. Visit the gravesites of Jeremiah “Liver-Eating” Johnston along with other notorious characters. Old Trail Town offers a built-in teaching moment. Astonished youngsters are often heard commenting about how small the houses were back then. The North Fork of the Shoshone River offers a combination of easy rapids and smooth water as participants make their way through a classic Western canyon. Wildlife is plentiful, and guides will share knowledge of the area’s history and geology along the way. Guest and dude ranches have been a staple of the Western vacation experience for more than a century, and the town of Cody has played an integral part of the evolution of these All-American vacation getaways. The roots of this vacation style can be traced to areas in Wyoming where the term “dude” originated and where many ranches operate today. “Dude” originally referred to travelers from the East who would visit Western ranches and enjoy their hospitality while doing chores around the property. Guest ranches do not require a minimum stay and guests pay separately for each activity and meal. Dude ranches require a week-long stay and everything is included in a fixed price. Cody is home to the National Dude Ranchers Association office. Cody has earned a reputation for fine art, authentic clothing, sporting gear and accessories. The region has also been a hotbed of artists whose medium is Western furniture. The town was home for many years to the Shoshone Furniture Company and Thomas Molesworth who is credited for playing an integral part in launching the genre. Most galleries and shops are located on Sheridan Avenue, Cody’s historic main street. Located just steps from Cody’s historic main street, the Chamberlin Inn includes a small boutique hotel, the courthouse residence, the cottage and the garden studio apartments, all gracefully nestled within a beautiful brick and wrought iron enclosure. Guests enjoy a perfect garden setting for a leisurely cup of tea, a sip of wine, a game of croquet or a fully catered wedding. This family-owned and operated 21-unit boutique property was entirely renovated in 2005–2007 and is a member of Small Elegant Hotels. We will offer two options for Thursday, August 27 and Friday, August 28. 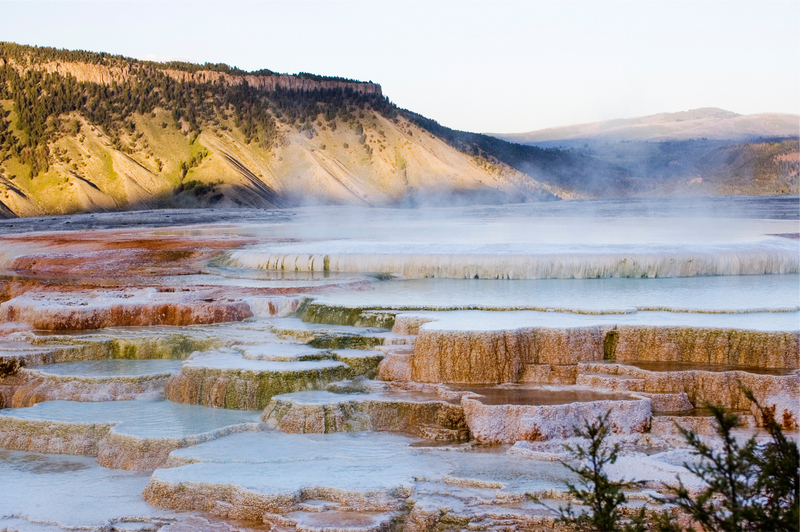 The first is an “overnight field trip” to Yellowstone National Park. Participants will depart Cody Thursday morning and spend the next day and a half exploring Old Faithful Village, seeing and staying at the recently renovated Lake Yellowstone Hotel and touring Grand Canyon Village where a $70 million redevelopment project of Canyon Lodge & Cabins is underway. This group will travel through the Lamar Valley on its way back to Cody in time for dinner and the Cody Nite Rodeo. Actives will receive priority, and the trip is limited to 40 rooms or 50 seats on the bus, whichever is reached first. The second option for Thursday and Friday is for participants to enjoy morning group activities such as touring Chief Joseph and Buffalo Bill Cody Scenic Byways. Afternoons can be spent visiting attractions and activities such as a Cody Trolley Tour, rafting, shopping or researching in the Buffalo Bill Center of the West’s McCracken Research Library. Robert Redford played a mountain man named Jeremiah Johnson. The real Jeremiah “Liver Eating” Johnston is buried at Cody’s Old Trail Town, and Redford was a pall bearer when Johnston’s body was moved from California to Cody.